One of our Macclesfield office space tenants recently received a letter from EON, the electricity supplier outlining their new prices for the next year. When this Adelphi Mill Offices Macclesfield tenant first moved into the mill he gave both EON and British Gas a quick call for power quotes.It is really important to let each energy supplier know that you’re considering the option of a rival company because once the energy supplier knows you’re talking to a rival company about electricity for your Macclesfield office space they will often offer to beat the other supplier’s quote. In this way, it’s relatively easy to achieve a good price. There are a few things to think about before deciding on a deal. 1. You would be wise to take advantage of your office space storage heaters, which can heat up overnight and arrange a separate night tarrif (lower rate) for these. 2. Will you be using a lot of electricity in your Macclesfield office over all? If you’re a one man band you might want to choose a deal with a lower standing charge but slightly higher costs per killowatt. However, if you’re a two man plus business or you think you’ll be using lots of electricity, then you may be better opting for a higher standing charge and lower unit prices per kilowatt. The letter revealed that the revised electricity prices for year two were to be significantly higher than the great deal in year one. The offices Macclesfield tenant simply called up EON and expressed his dissatisfaction with the less than competitive prices he’d been given for the second year. EON were then quick to offer up lower prices which, based on the tenant’s usage so far, would actually reduce his bill by around 5% (instead of increase it by the 20% on the initial prices outlined in the letter). The figures were agreed and EON issued a further letter to confirm them. The moral of the story is that you should always query your revised electricity prices each year to ensure you’re getting the best deal. 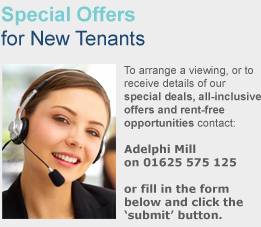 It only takes 10 minutes and can save you £100s or even thousands in lower bills. 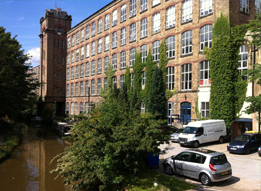 If you’re looking for office space to let in Macclesfield why not arrange a viewing at Adelphi Mill offices Macclesfield.